In March 2012 Schitterend described the history of glass as a decoration medium for painters in the series ‘Stories Behind Glass' for Periodiek, the magazine of Nimeto (school for painters). In the following magazine (July 2012) the second article was published: glass and grinding techniques, etching and sandblasting. 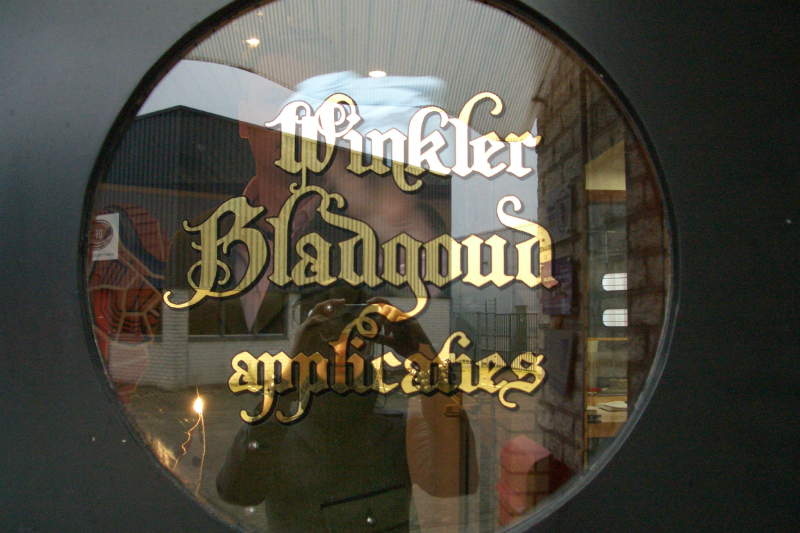 In article 3 (December 2012) Schitterend told about the decorative technique of gilding behind glass. Gilding of glass has been done since antiquity. There are few remaining examples which show blown glass with gold leaf, engraved with a sharp object and finally encapsulated by a second layer of melted glass. Cennino d'Andrea Cennini describes in "Il Libro dell' Arte" (1437), one of the most influential textbooks for painters in the late Middle Ages, how artists apply gold leaf on glass based on protein, after which decorations were engraved in the gold leaf with a sharp object. As of this time by artists in Europe were using, on a small scale, this technique of gilding and painting behind glass. In German it is called Hinterglas Malerei and nowadays it is also known under the French name Verre Eglomisé. 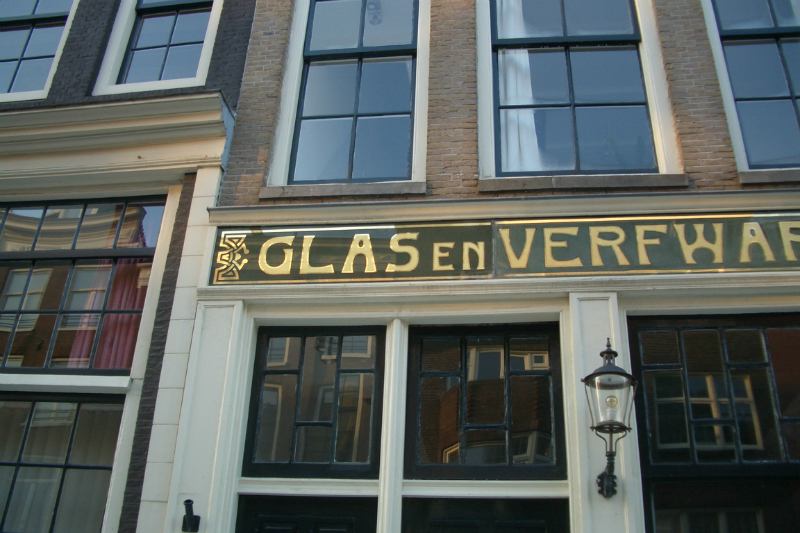 When industrial glass was produced around 1870, it was possible to use the mentioned technique on a larger scale for advertising purposes, such as in shop facades and / or in interiors. water solution. This protein may be gelatin, bone glue, beer, etc. This ensures a high gloss gilding. 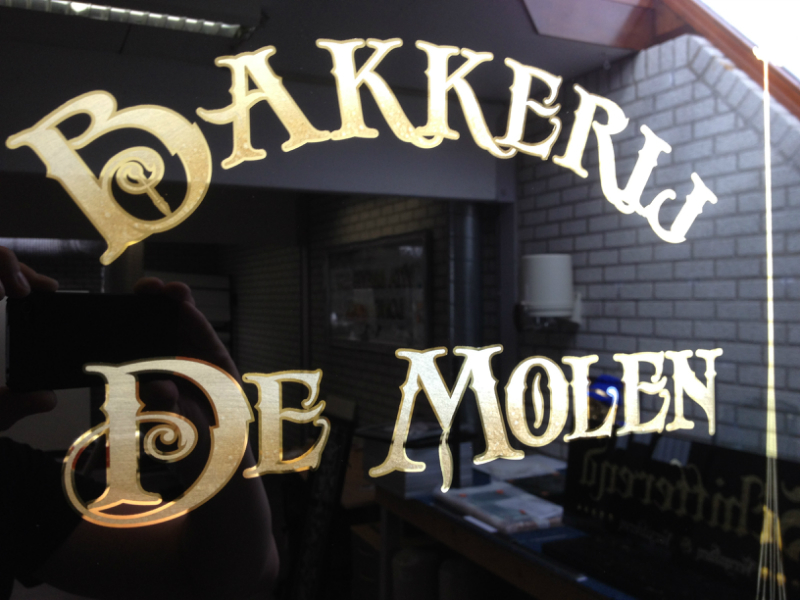 When oil gilding, the gold leaf is glued to the backside of the glass with a clear varnish. This ensures a matt gilding. When gilding chemically, no use is made of gold leaf, but gold is dissolved in Aqua Regia that is attached, through other chemicals, down on the glass. This ensures a very bright gloss gilding. 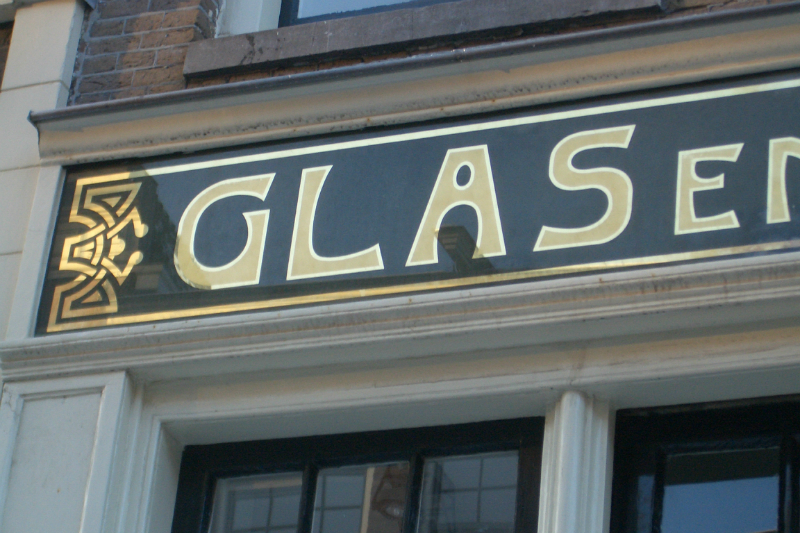 As shown in the examples, a combination of matte gold letters with a shiny gloss outline on a monochrome background, is a familiar technique for glass shop facades and wall panels. 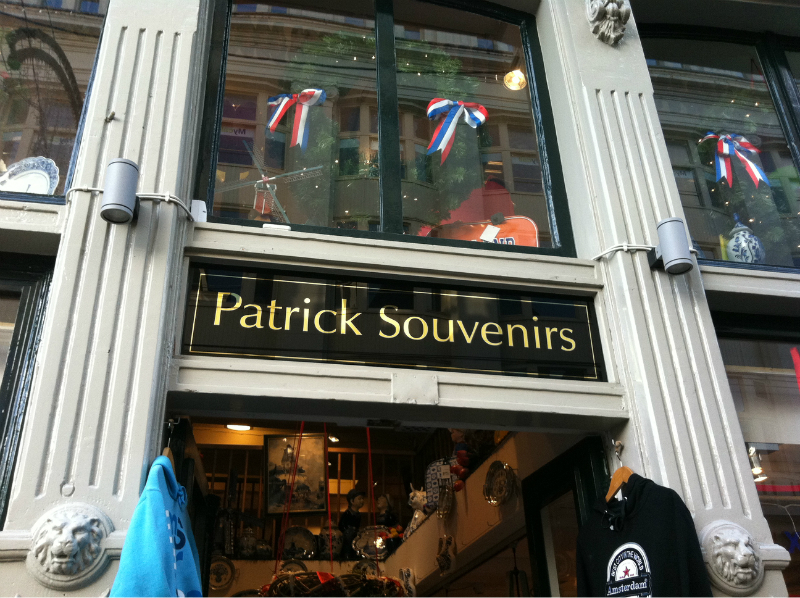 However, for shop windows, it was imperative that the client could see the shop through window. It was therefore that only a thin line, usually painted in contrasting black, instead of a full color background was painted. On the back side of glass various carats gold leaf are used. From pure 24 karat gold to lighter shades of gold leaf, which are mixed with other metals, and even silver. When more mixed metals and silver leaf are being used the shiny effect remains less longer, due to oxidation or other (chemical) reactions with contaminants. 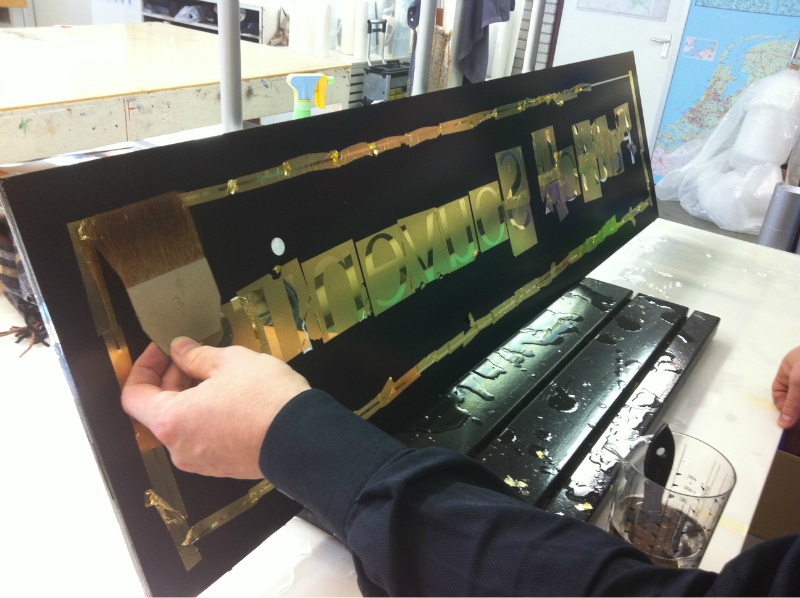 Therefore mainly 23.75 carat gold leaf or more is used for glass gilding on (shop) facades. 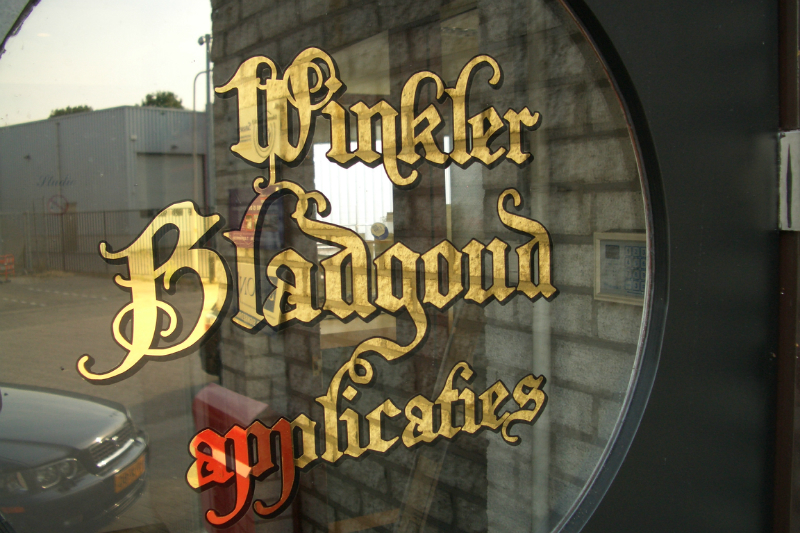 Even more than the application of gold leaf on other surfaces, it is very important to have a perfect gilding without contaminants on glass, in order to make the glass come into its own fully shine. Glass not only enhances the glossy shine, but it also accentuates any dust or other imperfections that sit between the gold and the glass. Therefore, when choosing gold it is very important to choose a premium quality: there should be a minimum of holes and wrinkles in it. 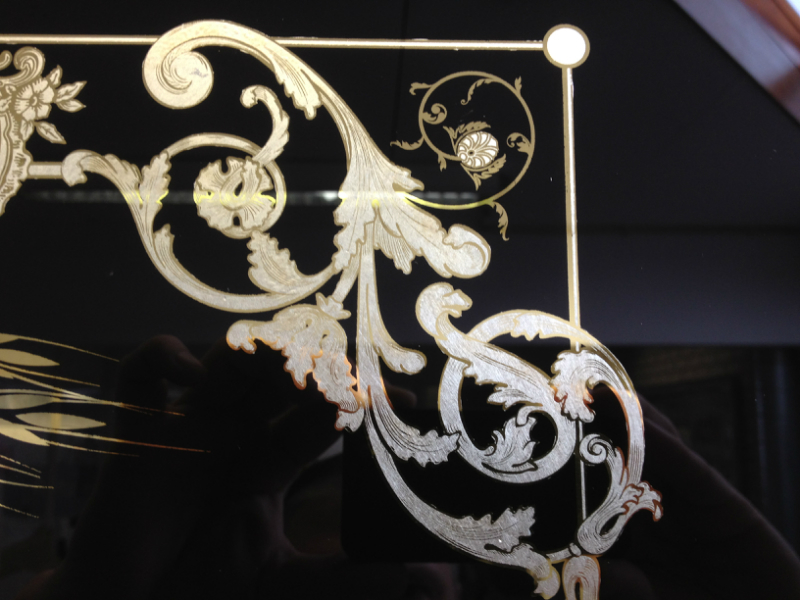 When a lower quality would be selected, that could mean a second or even third layer of gilding has to be applied to get a smooth shiny suface. To get to learn the correct techniques and to achieved the level where I stand nowadays, much research is needed, much experimentation, patience, a steady hand and above all ..... lots of that precious gold leaf. Only then one of the perhaps most beautiful techniques of the old painting craft can be applied for timeless advertising purposes. It's always a wonderful feeling to do make something monumental and know that it can be admired for many years to come. 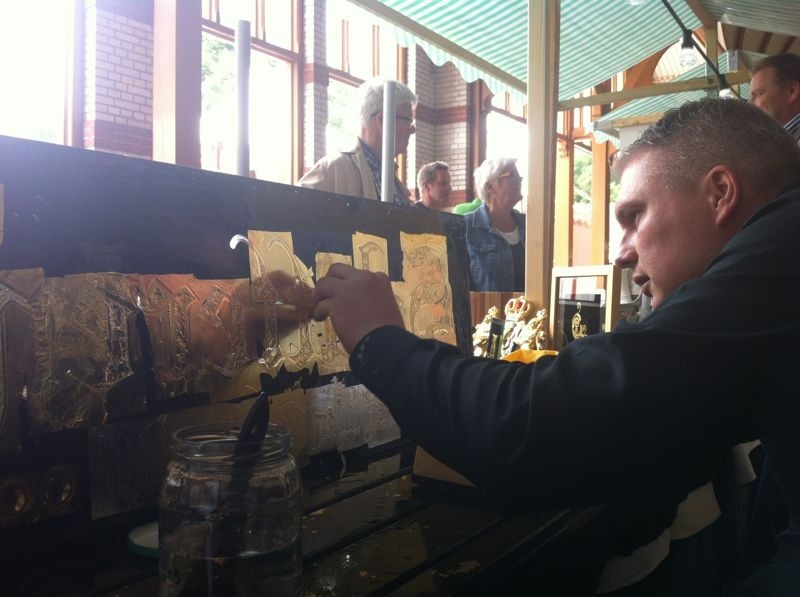 Want to know more about gilding? Then click on this link.